Kiwanis Club of Coral Gables is a local chapter of the Kiwanis International, a global organization of members dedicated to “serving the children of the world.” Founded in 1926, the Kiwanis Club of Coral Gables has thrived as a non-profit organization led by service-minded men and women who respond to the needs of the South Florida community. The Club is dedicated to supporting local youth groups, such as the Boy Scouts and the Gulliver Preparatory and Coral Gables High School Key Clubs. 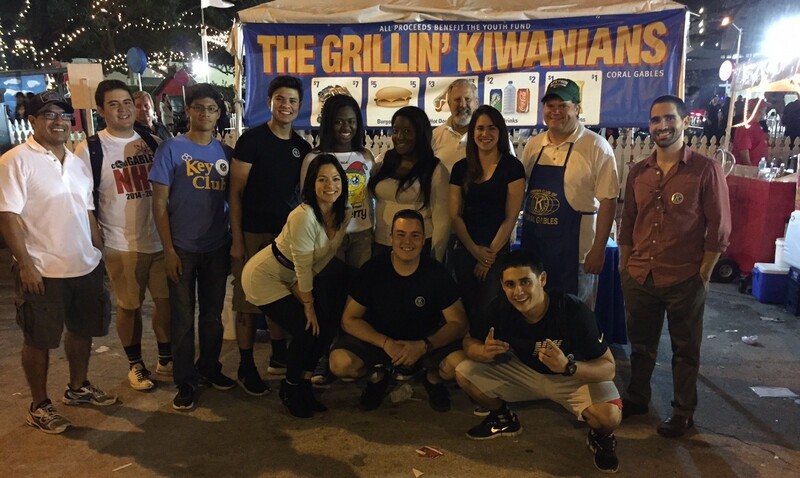 Members also engage in yearly service projects to raise funds for the Kiwanis Club of Coral Gables Youth Foundation, which in turn serves to benefit underprivileged children and help further the cause of other non-profit organizations such as the Miami Rescue Mission. In addition to engaging in many service projects, the Kiwanis Club of Coral Gables also honors the Coral Gables Police Department Officers and Detectives on a quarterly basis, recognizes distinguished athletes via the Koty’s Award Ceremony every year, and sponsors several school programs to aid in the growth and development of our future leaders. 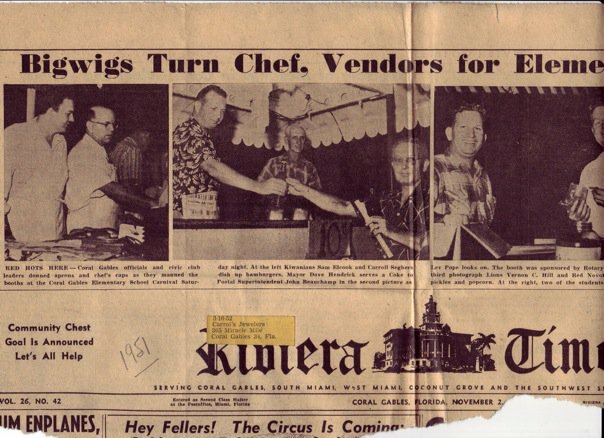 Kiwanis International was founded in 1915 in Detroit, Michigan, and became an international organization with the creation of the Kiwanis Club of Hamilton, Ontario, the following year. Kiwanians demonstrate in many ways how they join together, understand, and help to solve the pressing problems their communities face. Kiwanis’ slogan is “Serving the Children of the World”.